You have great system design ideas. Why not sketch it out? 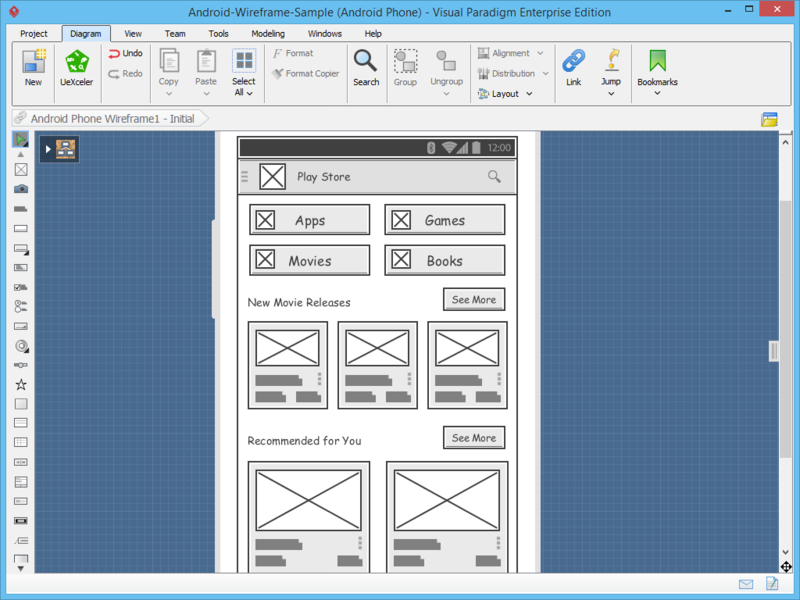 Try to wireframe graphical user interface (GUI) with simple lines, boxes and widgets, and you'll be thrilled at your speed of ideas! 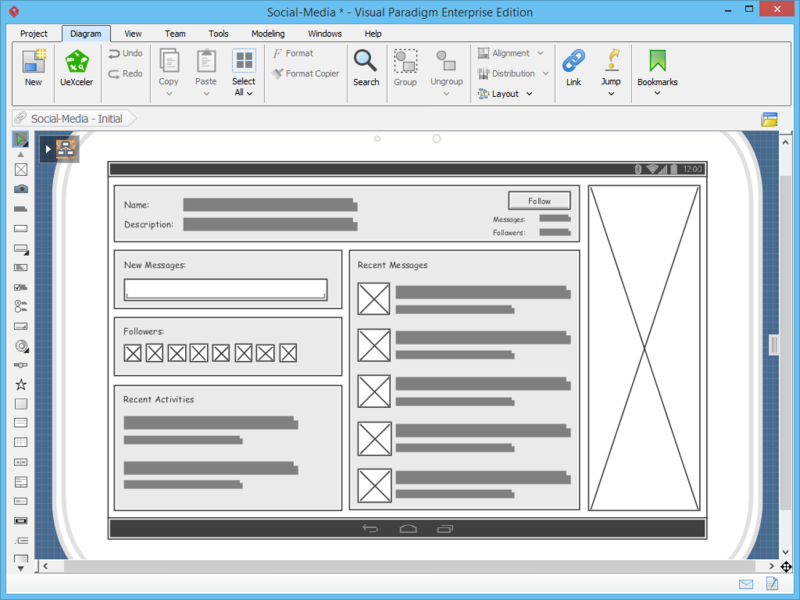 Wireframe allows you to express ideas quickly and involve others in system design. 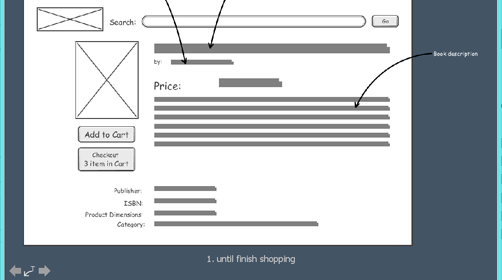 Because wireframes are rough and loose, they give everyone, including colleagues and clients the room to talk about, consider and challenge the ideas they represent. 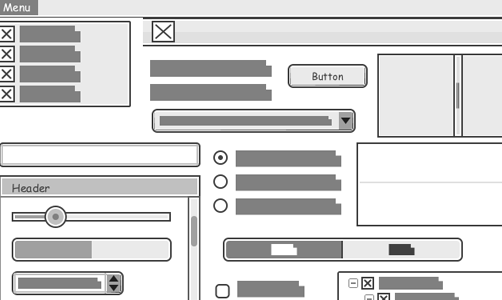 After all, wireframe is just a rough illustration. Wireframe rapidly, with drag-and-drop. 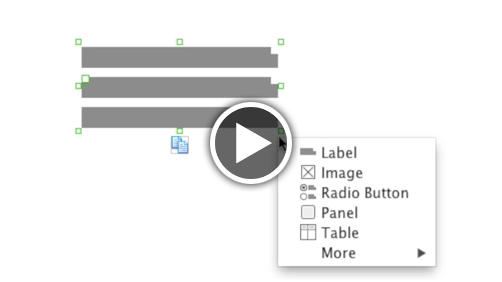 In addition to adding wireframe element to your design, drag-and-drop allows you to move, resize and customize wireframe elements. 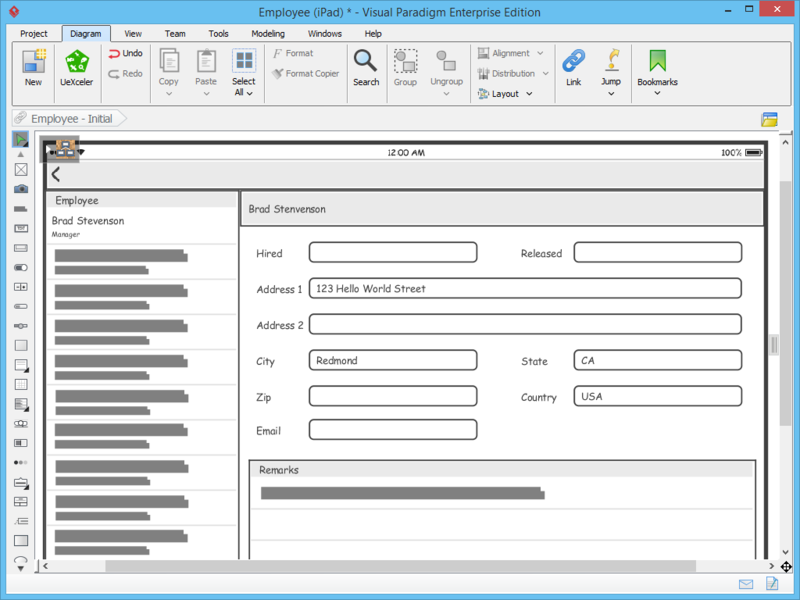 Instant creation of multiple labels and text fields can also be achieved with a simple drag-and-drop action. 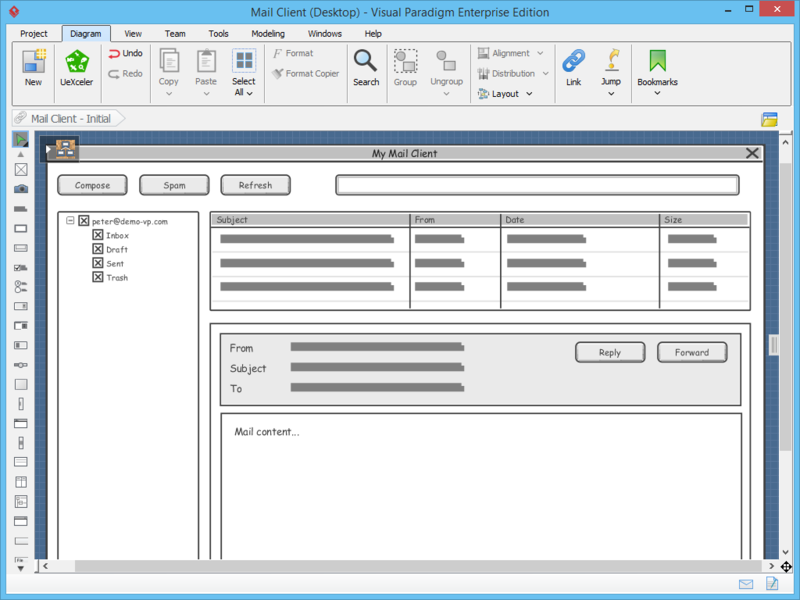 Visual Paradigm includes a rich set of user interface elements to support your wireframing needs. Each element is professionally designed, with a natural and consistent style. Plus, most of these elements are customizable so you can easily change things like colors, content, object state, etc. Present screen flow and any screen design ideas with your clients, with the help of a slideshow. 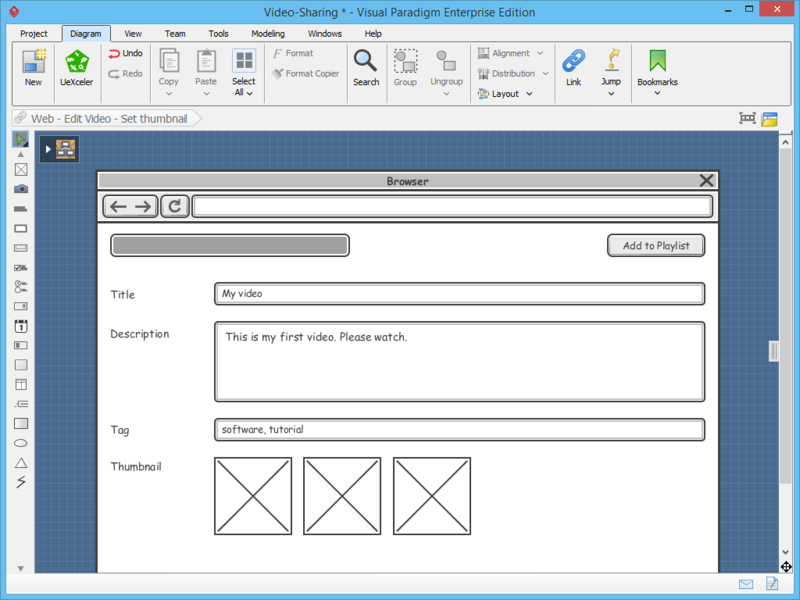 Visual Paradigm's wireframe tool can produce high quality slideshow from your wireframes. This allows you to express your ideas clearly, and allows your clients to understand effectively. 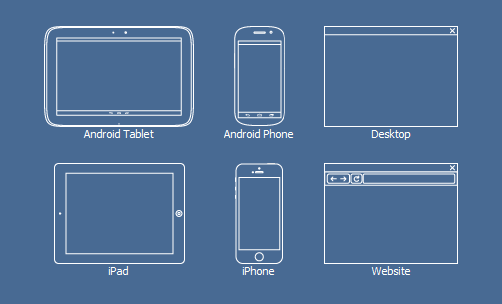 Full set of built-in wireframe elements and wireframe tools are ready for you to draw wireframes for web, mobile, tablet and desktop apps. 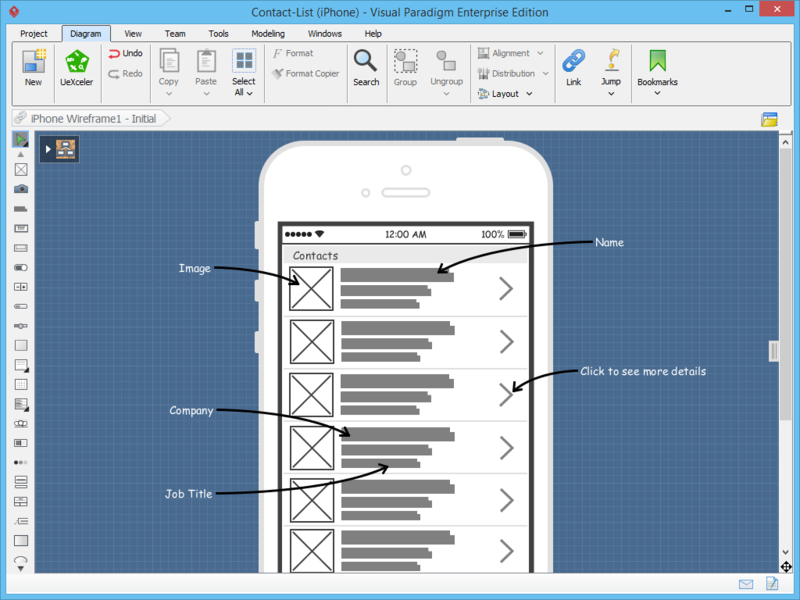 Export your wireframes and share them with clients and colleagues. We support a range of output option including JPG, PNG, SVG and PDF. iPhone, iPad are trademarks of Apple Inc.